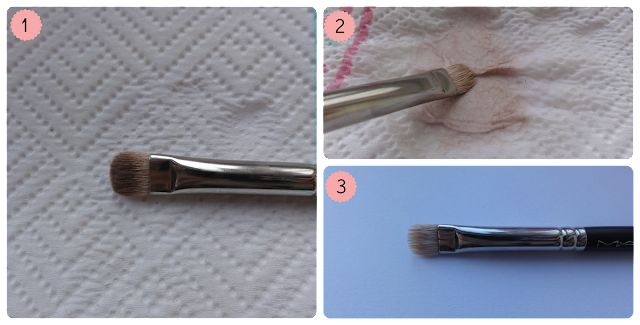 Today I'm sharing with you my favourite product for cleaning my makeup brushes. I got this last year after trying a couple of different ways of cleaning my brushes; gentle soap and water which I found took far too long for my brushes to dry, sometimes they'd still be damp and unusable 12 hours after I'd cleaned them. I then tried a Clinique brush cleaner but again, it wasn't really suited to what I wanted which was quick, easy and convenient cleaning. The MAC Brush Cleanser does just that. It promises to clean, disinfect and condition the brush fibres so that brushes will last longer and is specifically designed to extend the life of high quality brushes. It will leave your brushes smelling fresh and clean and helps shorten their drying time. The statement above is definitely true; this product has been an absolute gem since I got it, I'm fairly forgetful and often rushing in the morning so don't always have time to give my brushes a quick clean after I've used them. Now for a quick clean all I do is tip a little of the cleanser onto a couple of pieces of kitchen towel, give my brush a quick wipe back and forth until all the residue has come off onto the kitchen towel and voila, you have one sparkly clean brush. Give it about 5-10 minutes to dry (sometimes less depending on your brush) and then your brush is ready to use. You can also give your brushes a deeper cleanse by pouring a little bit of the cleanser into a cup and then leaving your brush to soak in it for a short while and rinse it off with water when you're happy that it's clean. I find a spot clean is pretty much the only thing you need for smaller brushes but your foundation brush definitely comes up better from a short soak. Overall, I absolutely love this product and it is my go-to cleaner over any other product or method. A little goes a long way and I can clean about 7/8 of my brushes with a couple of splashes. My only small gripe with it is the lid, I think it'd be a little more economical if it came with a spray pump as an additional lid so that you didn't accidentally tip out too much product, which I have a tendency to do. You can pick yourself up a bottle for £9.50 (which I think is a reasonable price, I paid about £14 for the Clinique one and I've barely used it!) from your local MAC counter, Selfridges in store & online and on the MAC website. What's your favourite method for cleaning your brushes? 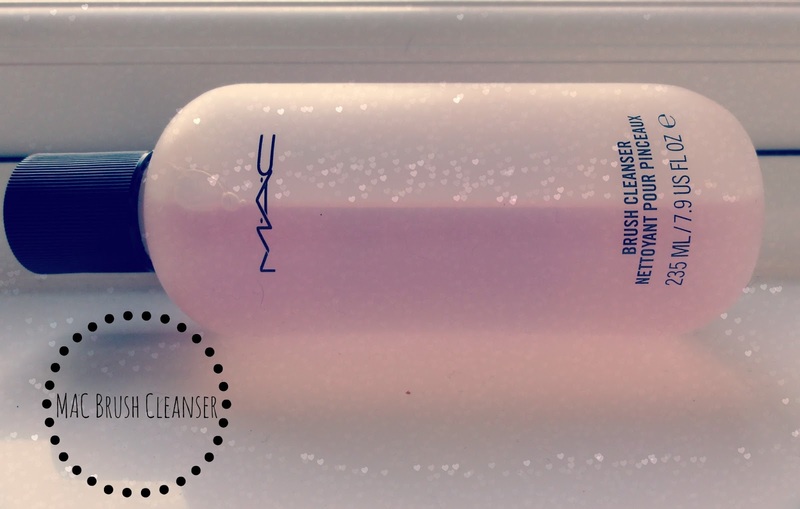 Have you tried the MAC Brush Cleanser? I haven't tried this yet ~ Reallllly want to give this a go! I love this brush cleanser! It works great and it's not too expensive! <33 Love your blog so much btw; it's lovely! I love the format of your blog! i love your title arrangement! and i need to get a good brush cleanser! Hello lovely! Your post is fantastic and really helped me out. I've been using the Elf spray cleaner and its garbage, so I've been looking for a decent one. I really need a brush cleanser. I keep using shampoo and conditioner... oops!